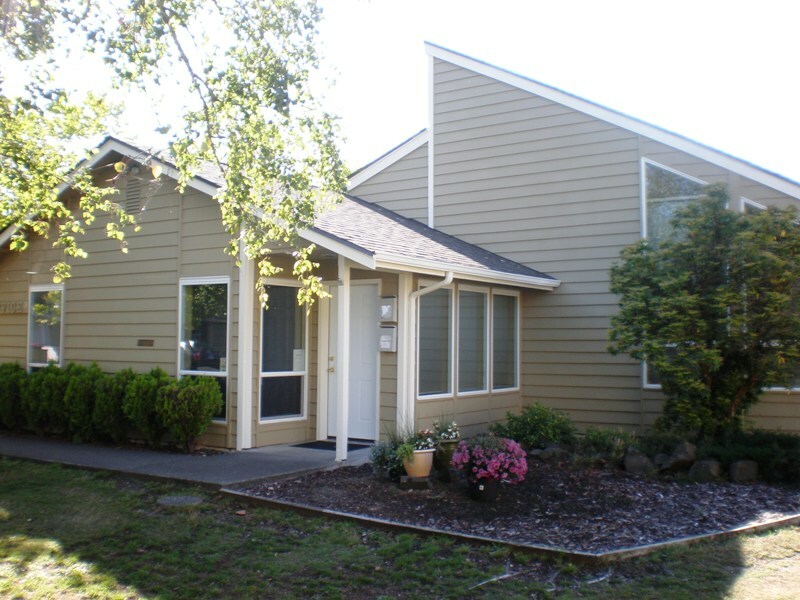 Woodsvilla provides housing for individuals and families. We have 2 and 3 bedroom townhomes. We offer housing to household sizes of 2-7 people with an allowance made to persons with a disability that requires additional space due to disability. Our community has rental assistance and you will pay approximately 30% of your income for rent (minus some deductions). Credit and Criminal screening is required for all household members 18 years of age and older. You get the best of both worlds! We are close to shopping, restaurants, schools and on a bus line but we are still located in a beautiful country setting. You are close to rivers and lakes, hiking, camping and all sorts of outdoor fun! Your townhomes we designed with a welcoming living area downstairs and bedroom and bathroom are located on the second floor. This creates a separation from your living area that provides a quiet place to sleep. Our Community is located in a park like setting with plenty of room to run and play. We have a fun playground for everyone to enjoy, laundry room is onsite even though our townhomes have hookups inside, an updated community room is a great place for residents to have gatherings or parties and our caring staff lives onsite. Income Limit Details: USDA limits up to moderate limits with preference for very low and low limits. Washer/dryer hook-ups in most apartment homes, parking included in rent and water, sewer, garbage is included in rent. Rent Detail: Our community is partially subsidized through the USDA Rental Assistance Program. We can offer a subsidized rent to 43 of our 50 apartment homes. When you are receiving a rental assistance you will pay approximately 30% of your income for rent (minus some deductions). For households that are not receiving a rental assistance you will pay a non-subsidized base rent.